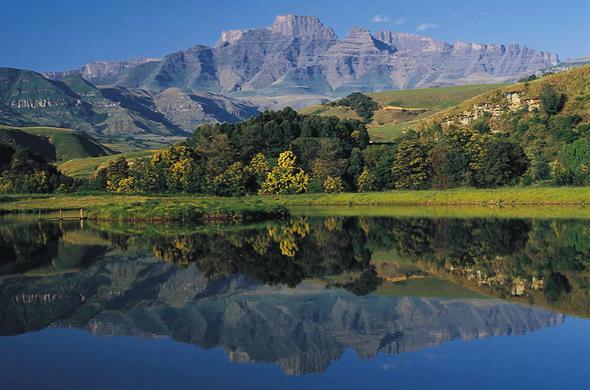 The Drakensberg Mountains in KwaZulu-Natal, South Africa offer a wonderful retreat from the hectic city life. Enjoy stunning views, visit San Rock Art sites or hike to the top of this gigantic massif. Escape to the tranquil and lovely Drakensberg Mountains to get away from it all. Perfect for a relaxed stay far away from modern disturbances, Drakensberg combines leisure, adventure and everything else in between. A typical in this beautiful mountain-framed destination includes trout fishing, golfing, horse riding and admiring the pristine surroundings. Drakensberg is also the ideal destination to experience exhilarating adventures such as guided or self-guided walking trails, abseiling, paragliding and many more can be arranged. Thrill seekers and nature lovers will feel at home. Some of this natural wonder's highlights include The Amphitheater, which you can climb on a guided tour. a trip up the scenic Sani Pass, and a visit to champagne castle. 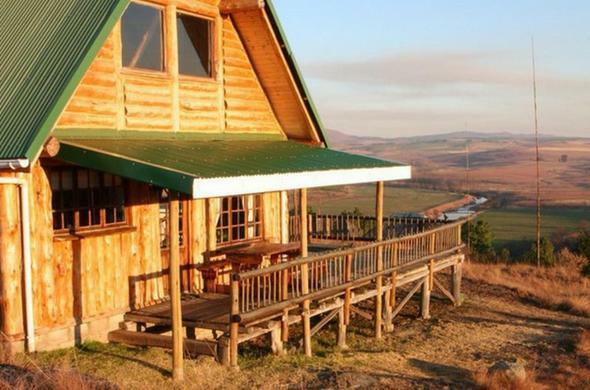 Enjoy a wonderful stay at this KwaZulu-Natal lodge, overlooking the Umzimkulu River in the Southern Drakensberg Mountains. Go mountain biking, river tubing, fly fishing or hiking in the Drakensberg or visit San (Bushmen) Rock Art sites. 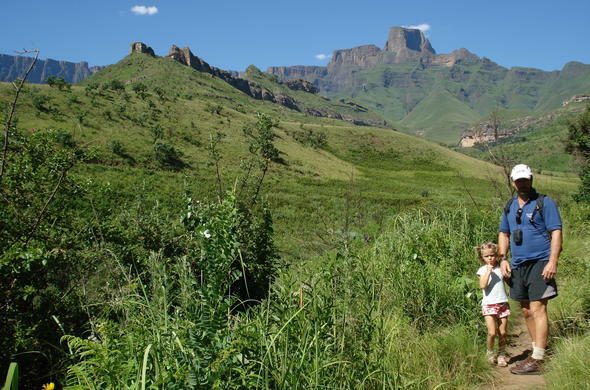 Sandford Park is close to Cathedral Peak and Royal National Park in the Drakensberg and the KwaZulu-Natal battlefields. Visit San Rock Art sites, go hiking, abseiling, bungee jumping, mountain boarding, boating white river rafting, and many more. Explore Spioenkop Battlefields in KZN. Drakensberg accommodation at Three Tree Hill Lodge is offered in cosy suites and guests can enjoy scenic views of the surrounding Drakensberg Mountains and admire the exquisitely beautiful uMfazomnyama Valley. 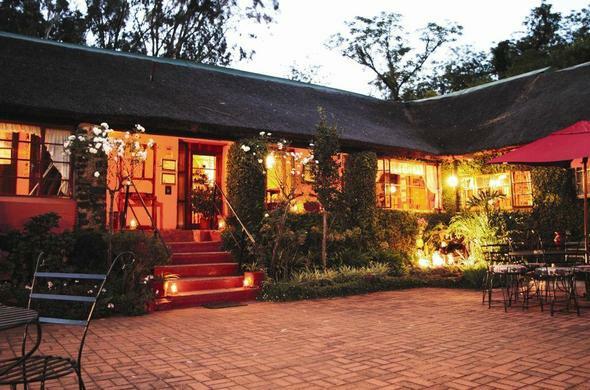 This lodge has the Drakensberg Mountains as the backdrop and lies on the KwaZulu-Natal battlefields route. Enjoy amazing sunsets, go on a horseback safari or enjoy canoeing on the Tugela River. The Cavern Drakensberg Resort and Spa Adventure and relaxation is what you can experience at The Cavern Drakensberg Resort and Spa. 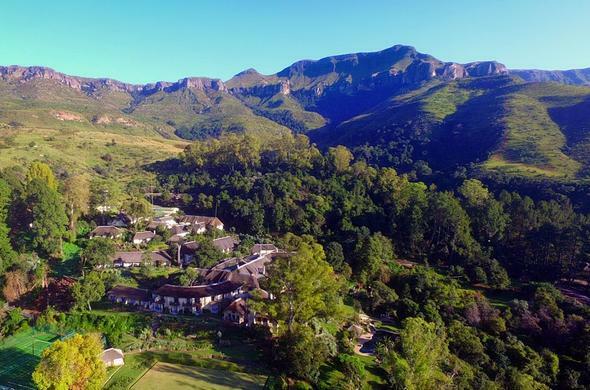 Anything from recreational activities such as trout fishing and mountain biking to adrenaline pumping walking trails can be enjoyed at this Northern Drakensberg resort.